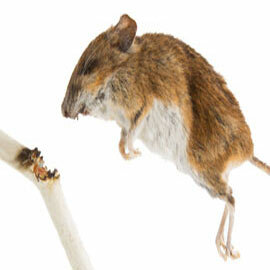 Rodents breed rapidly and can easily take over a structure in a matter of weeks. They destroy insulation and wiring to create their nests and contaminate food sources in your home to feed their young. Rodents like rats and mice also spread disease through their feces and urine and can bring other unwanted pests to your home like fleas, mites and even bed bugs! It is important to exterminate rodents as soon as you detect them to prevent a colony from establishing in your home or business. Rats are a common pest everywhere in San Diego county. Rats are especially common in homes that are near open spaces like canyons, parks, and vacant lots. Once inside, rats build a nest for their young out of your insulation. Rodent teeth develop very quickly and rats are known to chew on everything available to them, usually electrical wiring and pipes. When they're not working on causing fires or floods, rats spend their time contaminating your food sources and prep areas with their feces and urine. 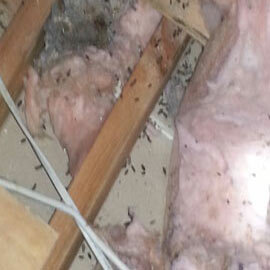 Rats also bring other unwanted pests to your home like fleas, mites and bed bugs! 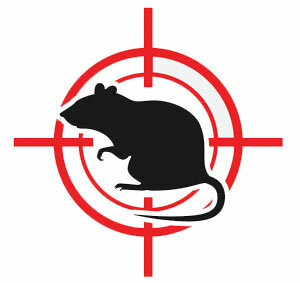 We've got a License To Kill your rats, call us to get rid of these destructive pests. Mice are small rodents uniquely suited to living in structures in San Diego. Their tiny bodies are able to squeeze through holes the size of a dime. Mice infestations are troublesome not only for the damage they cause to insulation and wiring, they can also spread disease and bring other unwanted pests like fleas and mites. If left untreated, mice colonies proliferate and increase your chances for contracting disease and parasites. It is for these reasons that we recommend treating your mice infestation as soon as possible. Rodents leave droppings and urine everywhere they go. In your attic, kitchen and even in your food! We'll kill your rodents and keep them from coming back. Rodents chew on just about everything. Most of the time, this means wires, insulation and pipes. Don't wait for a fire or flood to happen, call us to get rid of them. 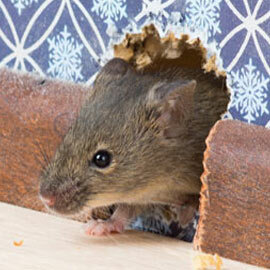 Rodents use exisiting holes or make their own to get inside. Rats enter through holes the size of a quarter, while mice squeeze through holes the size of a dime. One of the most common signs of a rodent population is hearing them. Scratching, squealing, squeaking or grinding sounds are a good reason to give us a call. Get Rid Of Your Rodents Today!